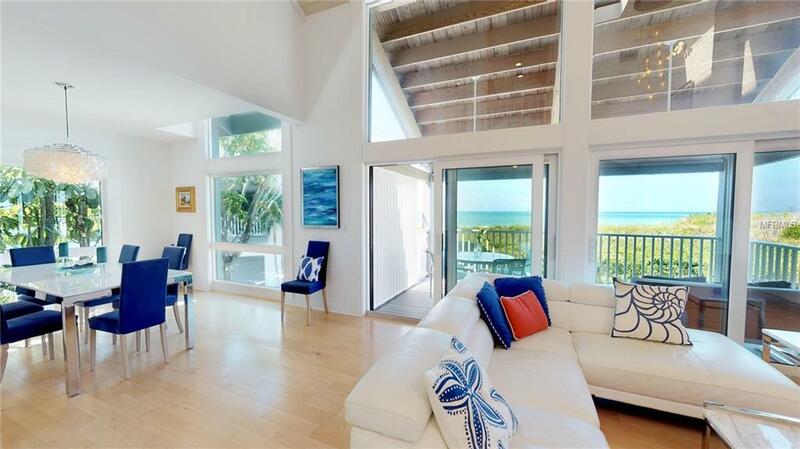 Framing panoramic Gulf of Mexico and lush mangrove views on North Longboat Key, this unique three-story residence represents modern beachfront living at its finest. 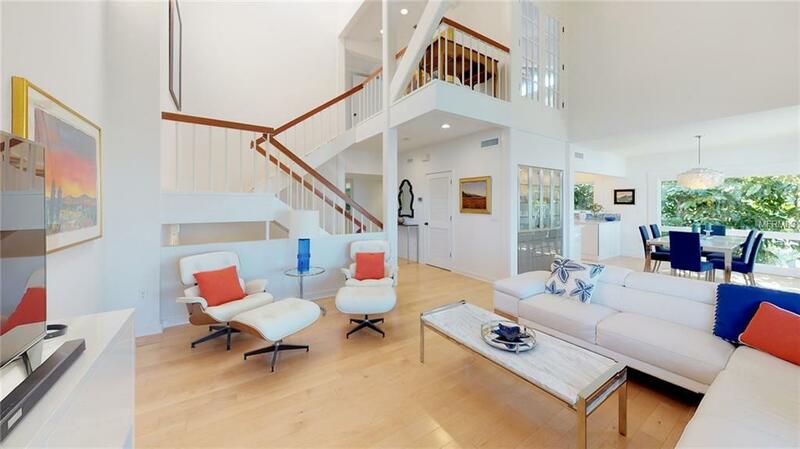 Designed by Tim Seibert, one of the founders of the Sarasota School of Architecture, the homes top-to-bottom remodeling was completed in 2018 and is a remarkable combination of space, material, and light. The 2,834 sf of living space is comprised of high vaulted ceilings, contemporary finishes, sculptural light fixtures, PGT hurricane impact windows, an in-unit Private Elevator, and open spaces that extend onto 5 separate outdoor decks for unsurpassed outdoor living. Commanding vistas of sea, sky and tropical vegetation create a soothing canvas for living. The gourmet kitchen features quartz countertops and top-of-the-line cabinetry and Kitchen Aid appliances. Escape to the serenity of the master bedroom and bath-composed of the entire third floor with its own private decks for soaking in the sea breeze. An indoor pool is ideal for enjoying the Florida lifestyle. 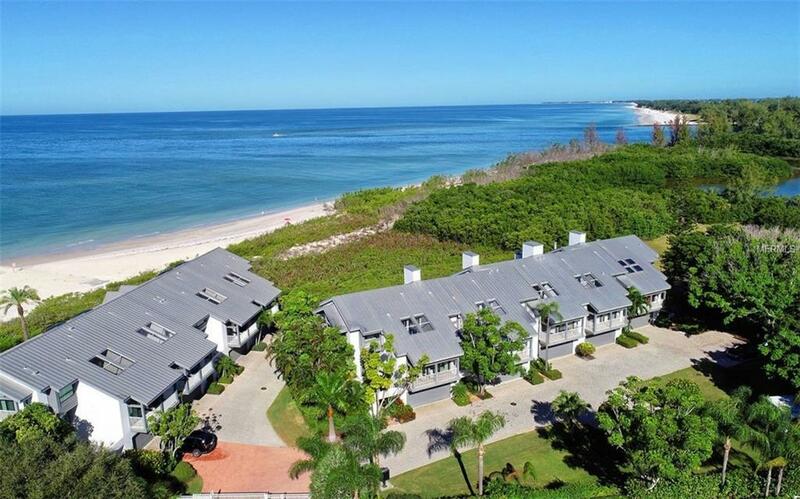 The dream of waterfront living is yours as you take a swim or enjoy the white-sand beach. This intimate community is comprised of only nine units and was recently gated, re-landscaped, and refreshed with new paint and Trex balconies. North Longboat is only 30 minutes to the airport and a haven for swimming, boating and fishing. Nearby restaurants include Euphemia Haye, Harry's Continental Kitchens, and the soon-to-open Shore. 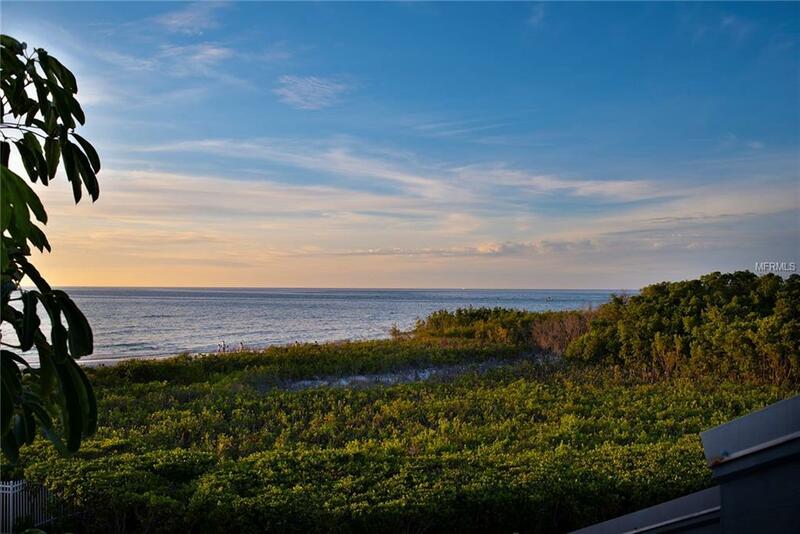 This is an exceptional value for beachfront serenity. Pet Restrictions One Small Pet Allowed.